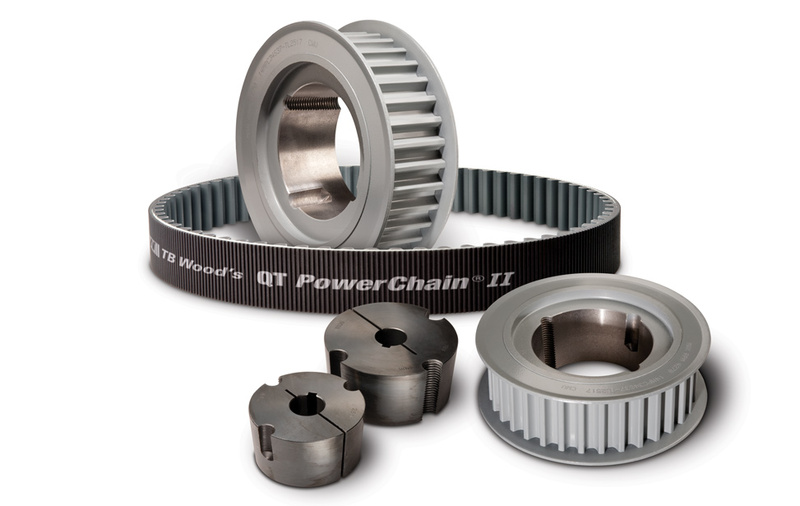 The QT Power Chain II Belt Drive System consists of a synchronous belt, sprockets, bushings and idlers that are designed to work together for maximum value in high torque drive applications. 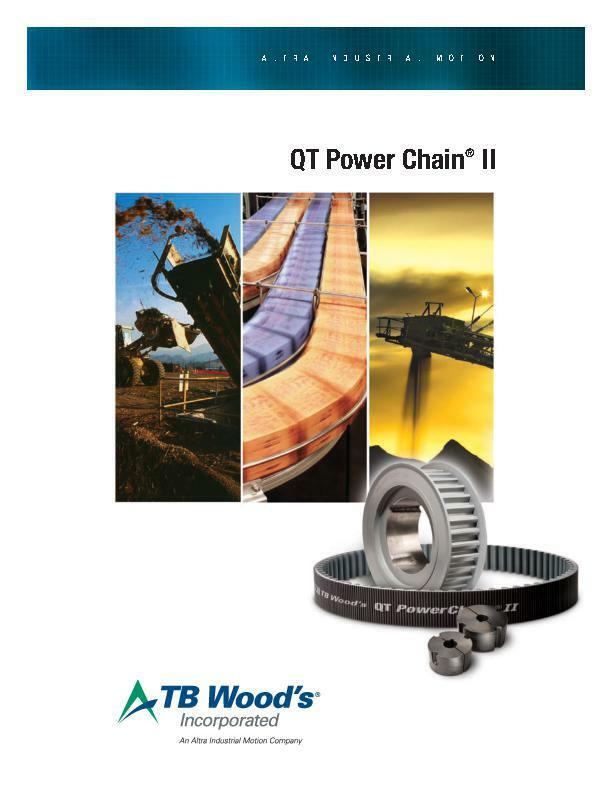 The new sizes of belts and sprockets along with increased power ratings (up to 40% higher than its predecessor,allow QT Power Chain II drive systems to be designed in widths narrower and more compact than ever before). 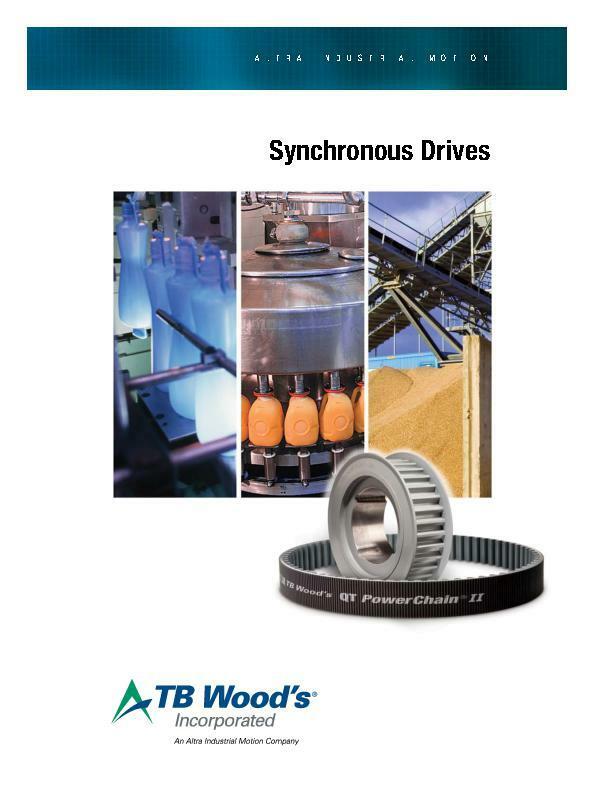 When compared with standard roller chain, this powerful belt drive system provides important performance advantages and significantly reduces overall costs.